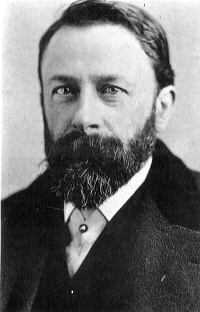 Albert Bierstadt (Jan.7, 1830 – Feb.18, 1902) was a German-American painting artist best known for his lavish, sweeping landscape oil paintings of the American West. 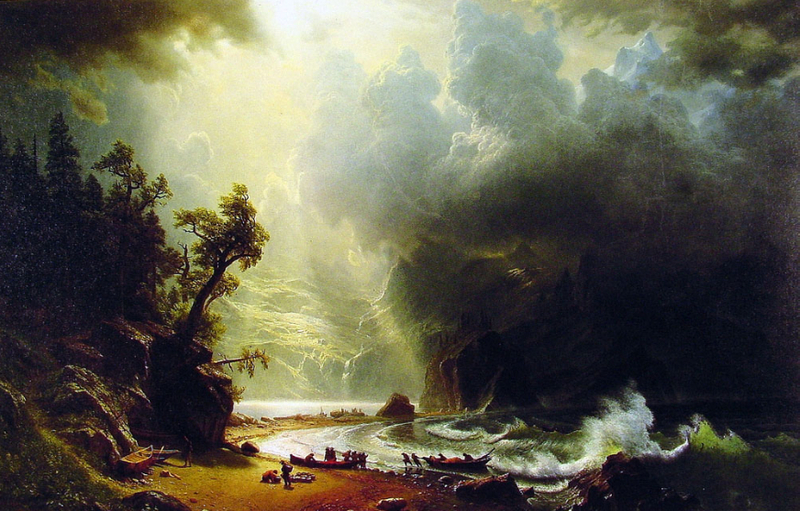 To paint the scenes, Albert Bierstadt joined several journeys of the Westward Expansion. Though not the first painting artist to record these scenes, He was the foremost artist of these scenes for the remainder of the 19th century. Born in Germany, Albert Bierstadt was brought to the United States at the age of one by his parents. He later returned to study painting for several years in Düsseldorf. Albert became part of the Hudson River School in New York, an informal group of like-minded painters who started painting along this scenic river. Their styles were based on carefully detailed paintings with romantic, almost glowing lighting, sometimes called luminism. An important interpreter of the western landscape, Albert, along with Thomas Moran, is also grouped with the Rocky Mountain School. In 1860, Albert Bierstadt was elected a member of the National Academy; he received medals in Austria, Bavaria, Belgium, and Germany. In 1867, he traveled to London, where he exhibited two landscape paintings in a private reception with Queen Victoria. Albert traveled through Europe for two years, cultivating social and business contacts to sustain the market for his work overseas. A trip to the Yellowstone region in 1871 yielded numerous drawings of the area's geysers and picturesque topography. These works were instrumental in convincing the United States Congress to pass the Yellowstone Park Bill in 1872, thus establishing the first national park in the world. Soon thereafter Congress purchased a large painting from Albert for $10,000. As a result of the publicity generated by his Yellowstone paintings, Albert's presence was requested by every explorer considering a westward expedition, and he was commissioned by the Atchison, Topeka, and Santa Fe Railroad to visit the Grand Canyon for further subject matter. Albert's technical proficiency, earned through his study of European landscape, was crucial to his success as a painter of the American West. It accounted for his popularity in disseminating views of the Rockies to those who had not seen them. The immense canvases he produced after his trips with Lander and Ludlow established him as the preeminent painter of the western American landscape. Financial recognition confirmed his status: The Rocky Mountains, Lander's Peak, completed in 1863, was purchased for $25,000 in 1865. Albert was a prolific painting artist, having completed over 500 oil paintings during his whole lifetime. Many of them are held by museums across the United States and other countries. Founded in 2001, Xiamen Romandy Art Co., Ltd. is one of the leading oil painting suppliers engaged in the production of handmade oil paintings in China. Our high quality products and excellence in service have helped us to enjoy a high reputation among our clients. Our overall goal is to continue to improve the quality of our products and service in the future. Tags: "Kern's River Valley, California -Oil Painting Painted by Albert Bierstadt, Albert Bierstadt Painting.